Line 9 x 13 pan with aluminum foil. I like to spray Pam on the foil so the tortillas won't stick. 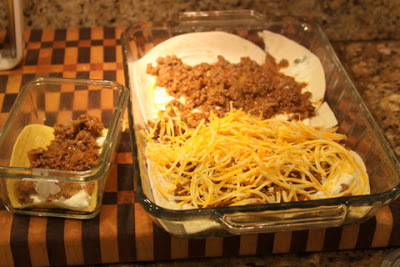 Then layer tortilla shells on the bottom. Usually takes 2 - 3 shells depending on size. 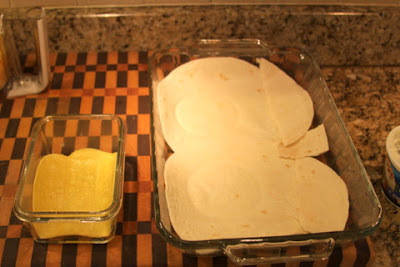 Spread sour cream on tortilla shells. I like to make a mix of sour cream and taco season just to spice it up a little. 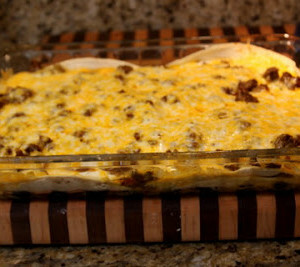 Layer ground beef and cheese on top of tortillas. 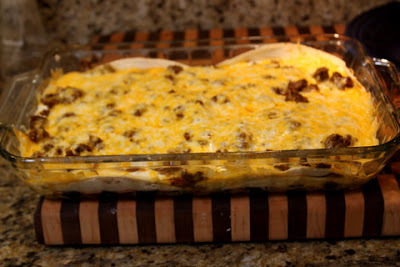 Top with more tortillas, sour cream and repeat layer. 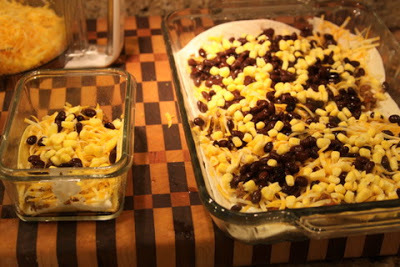 Ann Kelly added a can of black beans and some frozen corn after a layer of cheese. 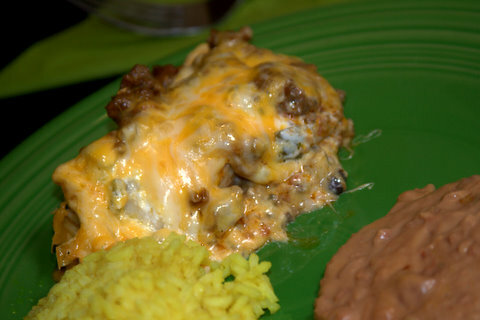 Also added the Jalapenos to the sour cream instead of the beef. Pictures by Ann Kelly the small one is a Gluten free version. 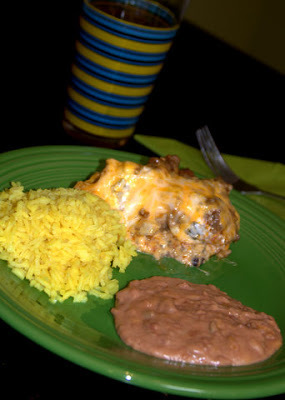 You can pretty much throw whatever you want into this casserole if you like corn or beans, etc. I don't put anything extra in it.